Award Tracker Update: Are Your Awarded Lanes Profitable? Prepare and forecast future bids. Gain insights based on actual, real-time data. Negate missed revenue. Manage commitments and awarded lanes. Achieve automation and efficiency. Get away from manually gathering insights and data from your TMS and other sources. 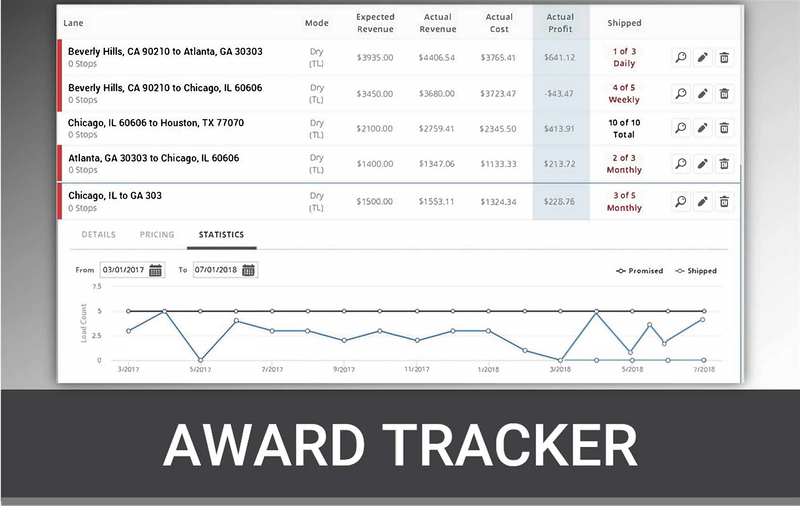 To see a demo of Award Tracker or for more information on LoadDex, contact us by filling out the form below.